We’ve created this Instructor’s Guide with the assumption that instructors will bring DHSS into their courses, at least initially, as an assignment or class activity. Although we have framed this Guide to focus on assignments, each assignment can be modified to be an in-class activity as well. In this section, we will talk about the pedagogy and set-up of a general DHSS assignment; however, you can also skip to our six step Practice section or our nine unique Assignment Guides to get right into it. This means, as a professor, to engage in DHSS in your classroom, there is an expectation that you’ll know your course content, you’ll know how to teach effectively, and you’ll know how to use the technologies you’re bringing to class. You may be the most comfortable with content and pedagogy, but with the addition of the technological aspect of this work, you may feel like you’re starting from scratch in developing effective assignments or activities for your students. We recognize this fear and have designed this Instructor’s Guide to focus less on mastering new technologies, and more on expanding your pedagogy, your ideas behind teaching and learning practices, to include more of the meaning making possibilities of DHSS. 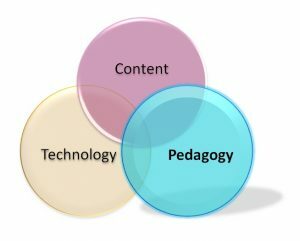 Our DHSS Focus: A greater emphasis on pedagogy. This Instructor’s Guide was created by novices in the field of DHSS for novices in the field of DHSS in order to be aware of the “expert blind spot” that can happen when experts are too versed in their fields to remember what it was like to be a novice. We did not, for example, want to inadvertently talk about coding when we really wanted to really talk about meaning making. We instead wanted to demonstrate the ways into which DHSS can complement and enhance the work you are doing with your students by being more explicit about how digital technologies can be used to create meaning. In this way, our goal in this Instructor’s Guide was to invite you into DHSS conversations in ways that were both accessible and complementary to your own work as educators in higher education. Thus, while we have identified different tools and technologies you could use in your class, in our Assignment Guides we have also suggested doing this work with low-tech tools such as Word or PowerPoint because our focus is on the pedagogy, not the technology. By using familiar technologies to explore the meaning making potential of DHSS, you can get progressively more comfortable in developing the multimodal, experiential teaching and assessment practices that are part of DHSS before your explore specific DHSS technologies. While these elements many seem daunting, they don’t need to be. The amount of work that goes into each element expands or contracts based on how large the assignment is. Thus, in this Guide, we have broken down DHSS assignment into Small, Medium, or Large assignments. In a Large assignment for example, students would complete many elements on their own. They would digitize, organize, and present a completed piece of work as assessment for the course. But in a Small or Medium assignment, you would have to prepare many of the scaffolds, you would choose materials and tools ahead of time, you would need to create and provide a project plan template, you would need to set aside class time for collaboration and problem solving, and you would need to identify a forum for students to present their work and reflections. A DHSS assignment is thus just like a traditional assignment because the work needed by you and your students changes or develops depending on how big the assignment is and where students are in their learning process. Digital tools and technologies are used to support the work in these assignments, not replace them. If a DHSS assignment still seems overwhelming, I recommend bolstering your pedagogical and/or instructional knowledge to strengthen the parallels between how you may usually approach an assignment or lesson and how you could approach a DHSS assignment. One instructional framework you could use to support your pedagogy is Madeline Hunter’s Instructional Design. Madeline Hunter was a Canadian-American educational theorist who outlined seven steps for designing an effective lesson plan. However, even abstracted from the lesson level, these steps can also be used to introduce any new ideas and assignments into a classroom. In the chart below, each element of Hunter’s instructional design is correlated with bringing DHSS assignments into class. Like Hunter’s work more generally, all the “steps” can actually be mixed and matched to work in any order that works best for your class. Objective and purpose Why DHSS? How will digital materials/tools/technologies assist a student in creating new meanings? From this breakdown, we can see that bringing a DHSS assignment into our classrooms requires the same thoughtfulness needed for planning any lesson: you need to hook your students, identify your objective, provide/input content, model what you want done, allow them to practise, provide feedback on their work, and then give them a chance to do the work on their own. Perhaps the input or modelling is more extensive with a DHSS assignment because it would include a new, technological layer, but learning how to effectively use technologies to support and present one’s argument is a central element of the digital literacy that students want from their education (Davidson, 2015). 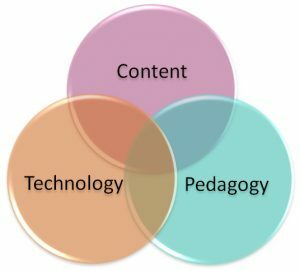 Thus, the experience of learning from, and with, technologies as part of learning about content, can support students’ experiential learning in your classes and shouldn’t be seen as a distraction from the content, but a way to augment the meaning they get from the content. Perhaps one of the most important distinctions between a traditional assignment and a DHSS assignment, is the emphasis on process as much (if not more) as product. Students should certainly be focused on completing an analytical and well-presented assignment in DHSS, but the learning with DHSS comes from the doing not only/just the done. When we assign students an essay, we don’t often check with them to see how their ideas are expanding because of the medium of the essay. We don’t often ask them to be cognisant of the ways an audience may respond to their ideas. We don’t often challenge them to think about how font and spacing influence how their argument will be read. In DHSS, these are questions that point to the experience of doing the assignment and are thus central for students’ learning of, and with, content. This is what can be understood as experiential learning: learning from experience. Experiential learning can be understood as activating your students’ learning by having students experience the application of content in context. In some programs – such as nursing, business, or biology – these “activations” are second nature because students have to actively demonstrate their learning of new concepts. But in disciplines within the Humanities and Social Sciences – disciplines like history, geography, political science, or anthropology – these activations may seem less natural and even a distraction from students’ learning the content and ideas within a field. However, as Cathy N. Davidson wrote in her book The New Education, our disciplinary structure in higher education developed in the late-19th/early-20th century and isn’t the best or only way to learn concepts within the Humanities or Social Sciences. In fact, having your students activate or use the knowledge they are learning can invite new or deeper ways into learning and enhance retention, understanding, and application of content. This is where DHSS can come in. You may currently assign students an essay as a way for them to develop an argument and support it with evidence, but what if they created an online exhibit or a digital story instead? Could they track their decision-making process and be reflective on what they are learning about presenting different elements of their argument? Could they develop a statement about the intended audience of their work as a way to develop their thesis? DHSS can help identify tools and technologies for your students to answer these questions by activating their content knowledge and be reflective in these activations. In this way, with DHSS, your students are learning the content, learning from the experience of learning the content, and learning how this content has an impact outside the walls of their classroom. York’s Teaching Commons has provided many resources to support experiential education in your classroom, such as a template for developing and incorporating Experiential Education and a planning activities worksheet. York follows the Kolb’s Experiential Learning model, which involves four steps: experience, reflection, abstraction, and next steps. The steps are cyclical, so that next steps should then (re)invite a change and development in one’s approach to the next piece of work. York’s Teaching Commons has also provided a planning worksheet for this cycle. Thinking of experiential learning as part of your teaching practice can help develop your classroom as a learning space that can support students’ learning over a wide variety of learning styles (Kolb & Kolb, 2005). Each step will also lead you to Assignment Guides, which were developed based on the work completed by the students in this project. We hope you find this Instructor’s Guide useful for your teaching practice! Note that both the Library and the Teaching Commons can support your classroom practice when more support is needed. DHSS in the Classroom by Samantha Cutrara, PhD, for the Office of the Vice Provost Academic, York University is licensed under a Creative Commons Attribution-NonCommercial-NoDerivatives 4.0 International License, except where otherwise noted.